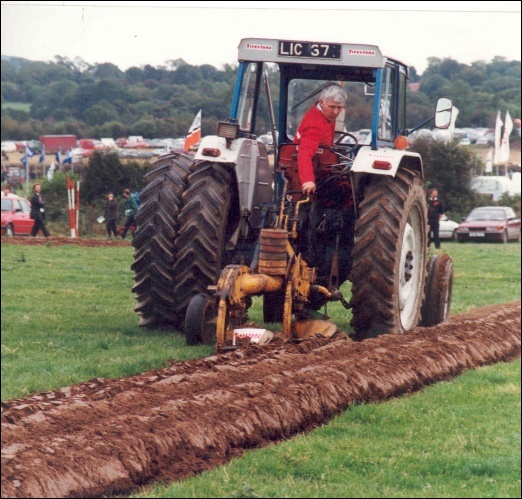 The local Ploughing Association was formed over 60 years ago and the very first competitive ploughing match was held in the area in January 1943. There were five classes and up to 40 pairs of horses took part. The winner of the Senior Class was Tom McDonald (see below) and his prize was £5. One of the other prizes was a pair of horse shoes given by a local blacksmith. Field Gates were also common prizes at the time. 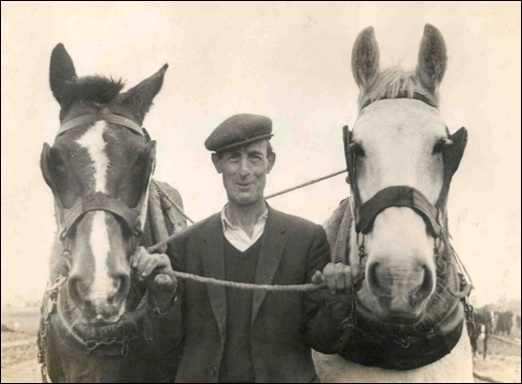 In 1944 fifteen people travelled to Ballinasloe, Co. Galway for the All-Ireland final in a lorry into which they had to put not only the ploughs but straw on which they slept for the duration of the competition. In those days there were chilled ploughs and swing ploughs. Nowadays we have five and six sod reversible ploughs pulled by tractors in excess of 100 horse power. In the last 60 years various local competitors have brought numerous All Ireland titles to the parish in various classes including the Farmerette Class on three occasions (Queen of the Plough). One man Johnny Tracey has brought great pride to this area coming second in the world on no less than five occasions. He well remembers his first time competing when, as a young lad, overcome with excitement, he became sick and his brother Jim had to finish the plot for him. He won his first Senior All-Ireland in 1973. World Ploughing championships have taken him all over the world to Canada, Australia and numerous European countries. His son Eamon now competes beside him and he too has collected numerous trophies. Last year 2006 saw Eamon take first place in the All-Ireland Senior Section and his father Johnny 2nd place. 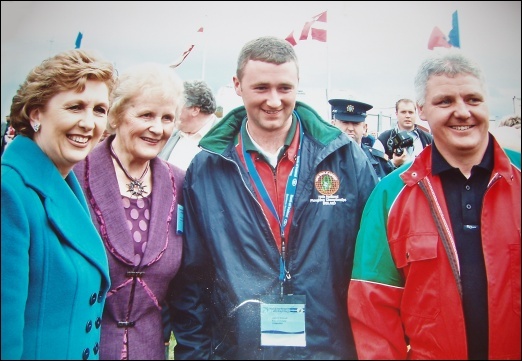 Eamon went on to come 3rd in the World Championships which were held in Ireland. Eamon’s son Sean now ploughs alongside his father and grandfather making it a unique three generations of ploughing. 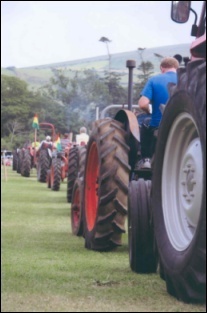 Down through the years Macra na Feírme formerly known as the Young Farmers Club played a big part in ploughing and its members continue to participate locally each year. The area has also contributed many judges to the world of ploughing and to mark the millennium quite a number of novices were introduced to the competition when those experienced in the field gave lessons and encouragement to many young local ploughmen so the future of the skill could flourish.